On Saturday, May 21, you’re invited to head to Finley Fields for the fourth annual Color the Hill Fun Run – billed as the most “colorful” run in town. 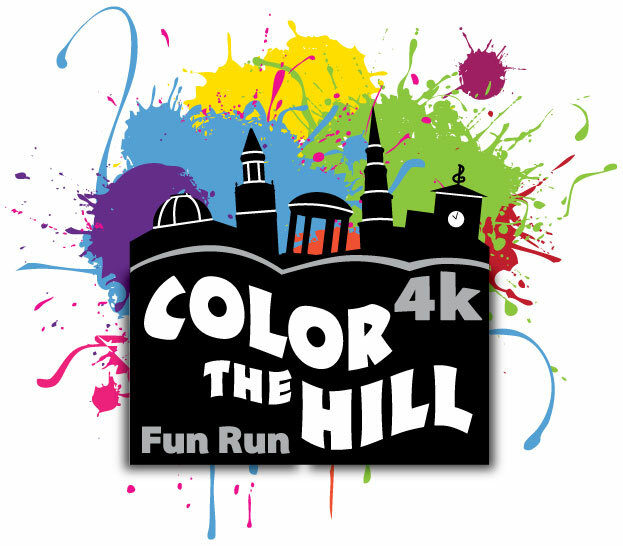 Beginning at 9:30 a.m., “Color the Hill” is a 4K run – or jog, or skip, or casual stroll – along the route used by UNC’s cross country team. Along the way, you’ll pass through five “color stations” where volunteers will shower you with non-toxic colored powder. (Don’t worry, it washes off.) At the finish line, there’s a party featuring music, food trucks and giveaways – and every runner gets their own packet of colored powder, so you can shower each other with color as well. It’s all to benefit three terrific local causes: the SKJAJA Fund, the Be Loud! Sophie Foundation, and Chapel Hill-Carrboro City Schools’ Academy of Information Technology (AOIT), which is based at Chapel Hill High. Laura Malinchock is a committee member for Color the Hill and a mother of two AOIT students; she joined Aaron Keck on WCHL to discuss Color the Hill, along with AOIT student David Hadar, a junior at Chapel Hill HS. The Be Loud! Sophie Foundation was founded in honor of Sophie Steiner, who died of cancer in 2013 at the age of 15; its mission is to raise money to support adolescent and young adult cancer patients. (There are existing programs that support kids with cancer, but those programs often miss adolescents and young adults.) Be Loud! Sophie has raised hundreds of thousands of dollars since its founding just a few years ago – enough for UNC Hospitals to hire an adolescent and young-adult program director (Lauren Lux) for the first time ever. Annabel Steiner, Leah Steiner, and Mia Colloredo-Mansfeld joined Aaron Keck on WCHL to discuss the Be Loud! Sophie Foundation.